A Nigerian car manufacturing company claims it has obtained a court order that allows it to take control of one of the country’s largest banks. Innoson Nigeria Limited on Friday said it obtained a writ of Fifa from the Federal High Court in Awka, Anambra State, against Guaranty Trust Bank (GTB) to implement the judgment given by Nigerian courts over the lingering crisis between it and the bank. The company in a statement signed by its spokesperson, Cornel Osigwe, said a judgement given by the Federal High Court in Ibadan was upheld by the Supreme Court of Nigeria. A Writ of Fieri Facias (or Writ of Fi Fa) is a document issued by the court for the purpose of effecting court judgment on a debtor’s property. It is also the legal instrument by which the assets of a judgment debtor may be seized. Innoson and GTB have for long been locked in legal tussles following disagreements over a business deal. On Friday, Innoson claimed its Chairman, Innocent Chukwuma, has been mandated to “take over” GTB after the supreme court dismissed GTB’s appeal against the judgement of the appeal court in Ibadan. “The Chairman of Innoson Group, Chief Dr. Innocent Chukwuma, OFR has through a Writ of FiFa taken over Guaranty Trust Bank PLC for and on behalf of Innoson Nigeria Ltd as a result of the bank’s indebtedness to Innoson Nigeria Ltd,” the statement said. “In a landmark decision on February 27th 2019, the Supreme Court of Nigeria dismissed GTB’s appeal — SC. 694/2014 — against the judgment of Court of Appeal, Ibadan Division. “Thus, the Court of Appeal affirmed the judgment of the Federal High Court, Ibadan Division which ordered GTB by way of Garnishee order absolute — to pay N2.4billion to Innoson with a 22% interest, per annum, on the judgment sum until the final liquidation of the judgment debt. Rather than obey the judgment of the Court of Appeal, GTB approached the Supreme Court to challenge the Court of Appeal’s decision,” the auto firm said. The company in its statement said a ruling delivered by Supreme Court Justice Olabode Rhodes-Vivour dismissed GTB’s appeal and thus affirmed the concurrent judgment of both the Court of Appeal and the Federal High Court, Ibadan Division. The ruling, it said, ordered GTB by to pay N2.4 billion to Innoson with a 22 per cent interest, per annum, on the judgment until the final liquidation of the judgment. “The Judgment debt of N2.4bn has an accrued interest as at today of about N6,717,909,849.96 which results to about N8.8 billion,” the statement said. 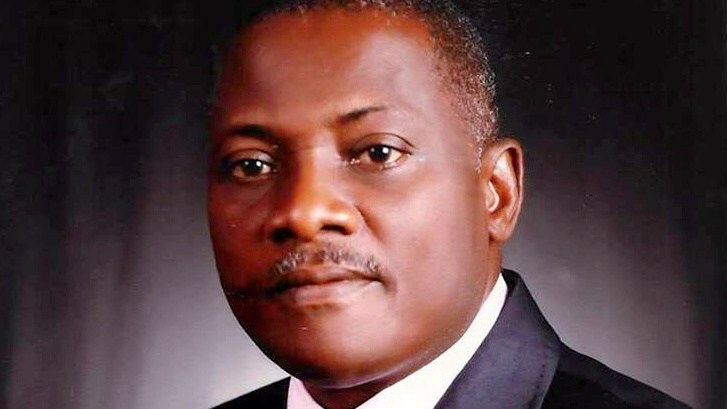 Mr Chukwuma, the founder of Innoson Motors, dragged GTBank to court in 2011, alleging arbitrary charges levelled against him and a string of bank accounts he held at the bank. But GTBank later counter-sued, saying it was Mr Chukwuma who allegedly falsified bank and shipping documents to obtain tax waivers from the Nigerian government. The bank subsequently referred the matter to the Economic and Financial Crimes Commission (EFCC). The anti-graft office filed criminal charges against Mr Chukwuma at a Lagos court. Last month, he was declared wanted for failing to appear for arraignment in the matter, which is still proceeding separately from the N14 billion arbitrary charges lawsuit currently at appellate levels. Mr Chukwuma denied the allegations of doctoring shipping documents, saying the matter had previously been investigated by the EFCC and the police both of whom cleared him of any wrongdoing. He accused GTBank of using law enforcement agencies to hound him and cripple his business, a claim the bank also denied. Efforts to get GTB’s reaction to the latest development were unsuccessful as of Friday evening.